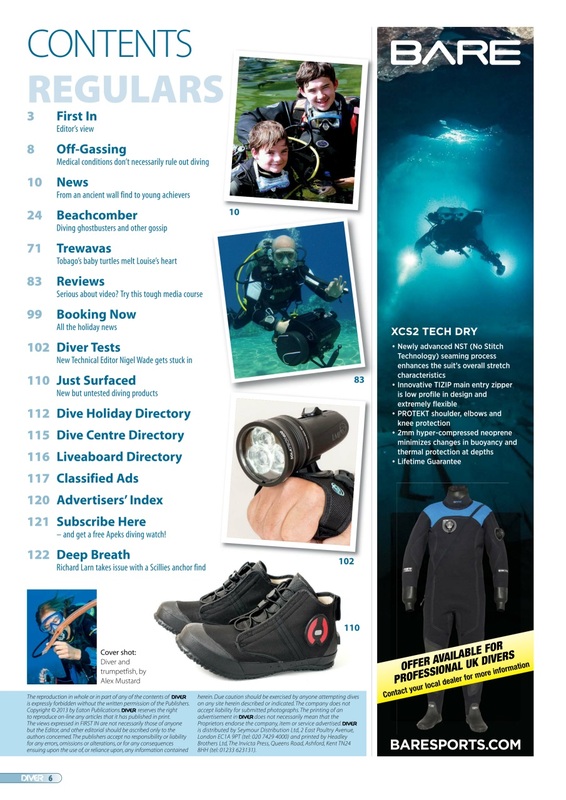 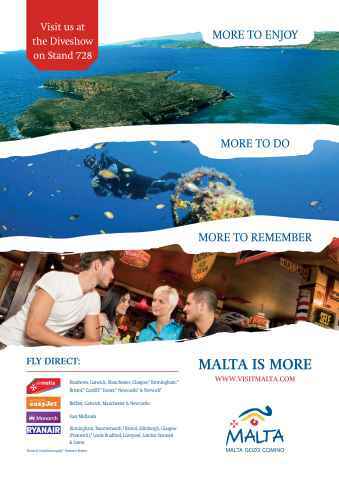 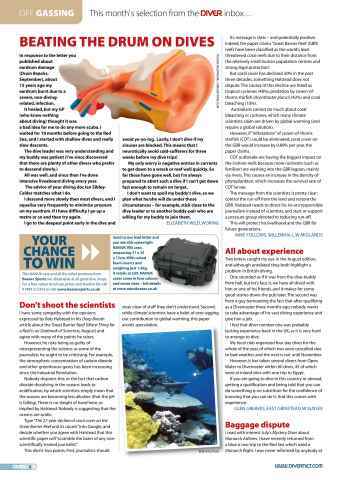 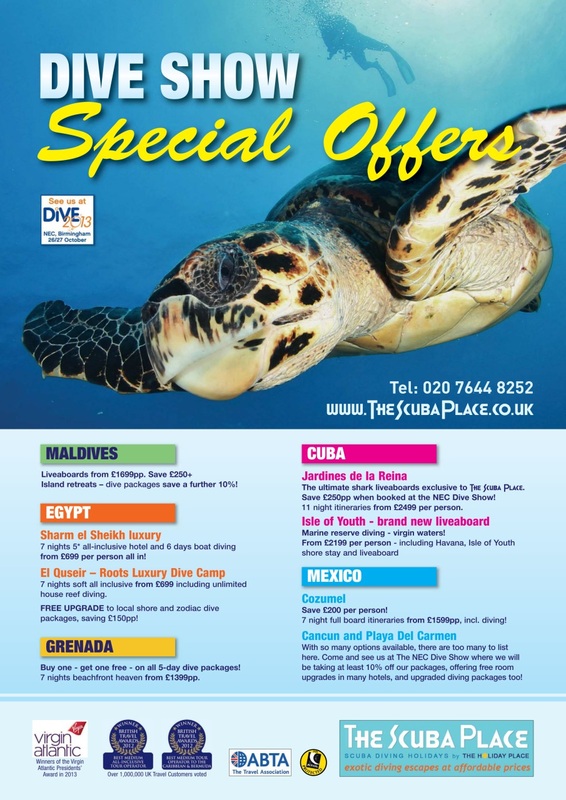 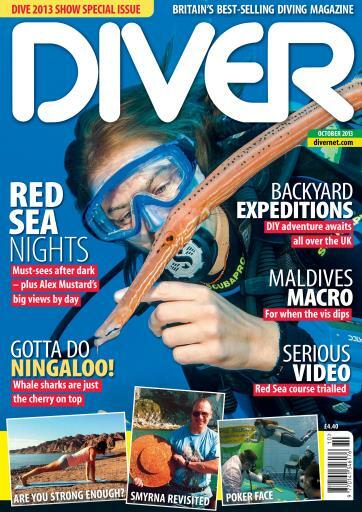 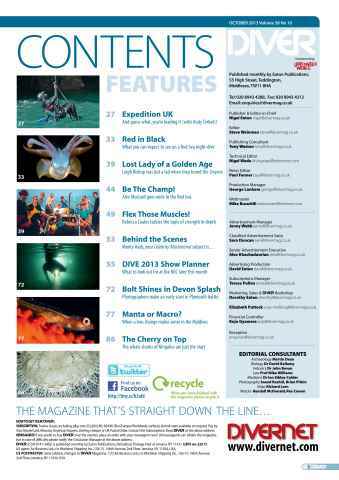 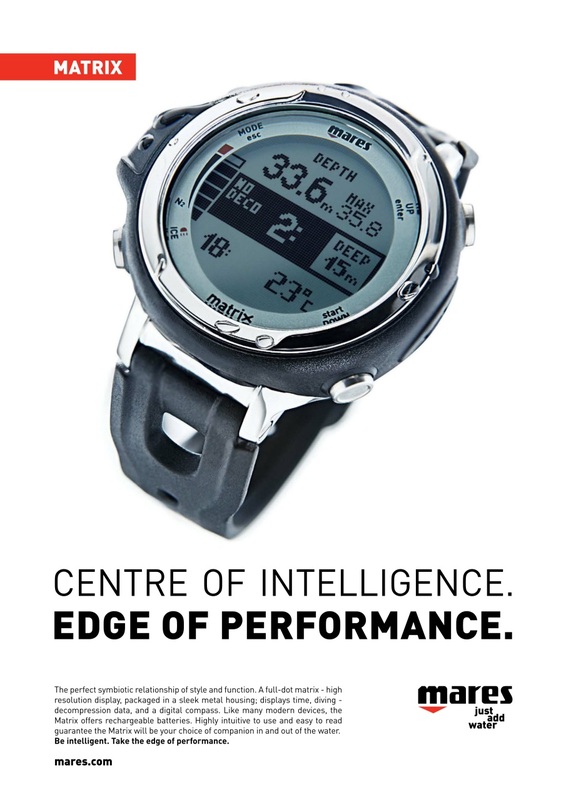 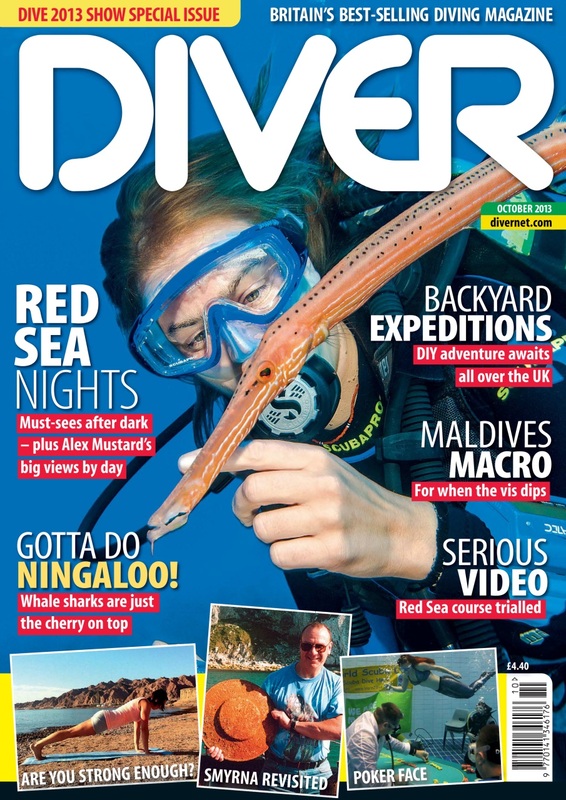 UK ADVENTURE DIVING - And guess what, you're leading it (with Andy Torbet)! ALSO: First In - Off-Gassing - News - Beachcomber - Be The Champ! 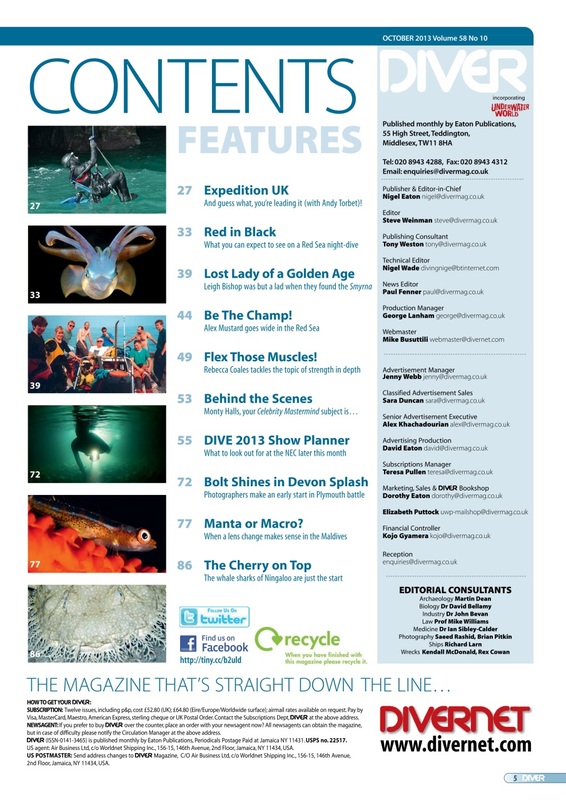 - Trewavas - Monty Halls - Booking Now - Diver Tests - Just Surfaced - Deep Breath.